According to the study “Asia P-Hydroxybenzaldehyde (PHB) Industry Situation and Prospects Research report”, the various product types of P-Hydroxybenzaldehyde are divided into <98%, 98-99%, 99-99.5%, 99.5-99.8% and >99.8%. P-Hydroxybenzaldehyde is utilizedin medicine, spices and other industries. Geographically, P-Hydroxybenzaldehyde (PHB) in Asia market is spread across China, Japan, India, Korea, Saudi Arabia and other region. 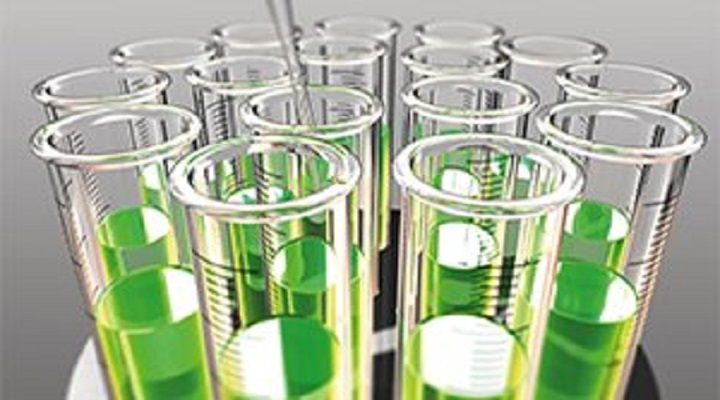 The leading players in P-Hydroxybenzaldehyde (PHB) market are Uma Brothers, Kessler Chemical(CA), Penta Manufacturing Company(US), Simagchem Corporation(CN), Sigma-Aldrich(US), Dow(US), TCI(JP), JUNSEI(JP), INTATRADE GmbH(DE), Pure chemsitry(US), Beckmann-Kenko GmbH(DE), BOC Sciences(US), HBCChem(US), Masuda Chemical Industries(JP), Alfa Chemistry(US), Apollo Scientific(UK), Toronto(CA), Anisyn(US), Extrasynthese(FR), Avonchem(UK) and Bharavi Laboratories(IN). Hydroxybenzaldehyde comprises of three kinds of isomers such as o-hydroxybenzaldehyde, m-hydroxybenzaldehyde and p-hydroxybenzaldehyde. P-Hydroxybenzaldehyde (PHB) is also known as phenol formaldehyde and when precipitated through water, it is white to pale yellow needles structure. Various raw materials used in the production of industrial P-Hydroxybenzaldehyde are phenol, cresol, and p-nitrotoluene. P-Hydroxybenzaldehyde is an important intermediate in pharmaceuticals, perfumes, and liquid crystals. Oxidized P-Hydroxybenzaldehyde in its reduced form is used as spices, pharmaceutical intermediates, raw material of liquid crystal, and other kinds of organic synthesis intermediates with a wide range of applications. P-Hydroxybenzaldehyde is easily to be sublimated, easily soluble in alcohol, ether, acetone, and ethyl acetate, however, it is slightly soluble in water and dissolves in benzeneat specific conditions. P-Hydroxybenzaldehyde is used for the synthesis of organic compounds and medicines. P-Hydroxybenzaldehyde is used for the production of TMP (trimethoprim), amoxicillin, cefadroxil cephalosporins, artificial gastrodin, farrerol, bezafibrate, esmolol, perfume anisaldehyde, vanillin, ethyl vanillin, pesticides and raspberry ketone. It can also used for synthesizing polymers and producing pharmaceutical raw materials. P-Hydroxybenzaldehyde market in Asia targets medical sector and spices sector producers, traders, distributors, associations, government bodies, various industries, plastcic manufacturers and research institutes for various other reasons. Evolution in industrialization and medical sciences are the major factors affecting the growth of P-Hydroxybenzaldehyde market in Asia. Distinctive use of P-Hydroxybenzaldehyde in Asia’s medical sciences will surely drive the P-Hydroxybenzaldehyde market in Asia over the next few years.